Although fine jewellery is gorgeous by definition, a lot of sparkling beauties struggle to live up to their potential when mistreated. To make the most of your collection of golden goodies, take the necessary steps to ensure splendour that lasts a lifetime. The old saying, “Diamonds are forever,” might be true, but serious misery can still befall your diamond jewellery if you’re careless. For example, the safety of your diamonds lies in the condition of their settings. To prevent the loss of a precious stone, have the health of claws and collets checked by a professional every so often. Once every two years should be enough, but for items worn daily (like engagement rings), once a year is the rule. Furthermore, despite being the hardest gem, diamonds can still chip, crack and shatter from excessive impact. Rather leave your diamonds off when heading to the gym or rummaging around in the garden. A lot of coloured stones are softer than you might think. Tanzanite, for example, can easily get scratched by keys or coins. Bear this in mind when rummaging through your purse. Washing the dishes is also a preferably ringless activity. Who knows what a stray piece of cutlery might do to your beautiful gems? 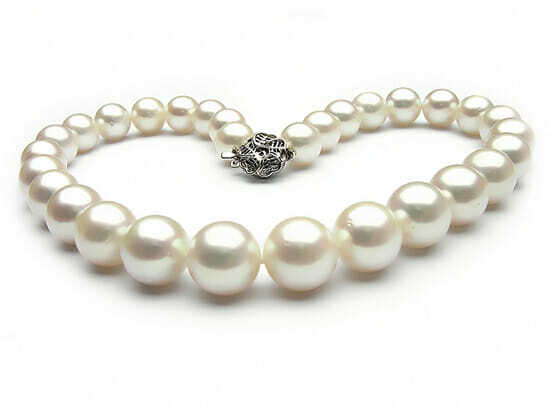 As the natural product of a secretive sea creature, pearls are delicate beings with a tendency to get scratched. Best practise is to store your string of pearls separately from other jewellery, preferably rolled in soft material like satin. As a matter of interest, pearls are at their happiest when around your neck. The natural oils from your skin bring out their lovely lustre. Mind where you spray your perfume though, harsh chemicals make pearls go dull quicker than you can say Chanel No.5. The same applies to soap and hair products. As a rule of thumb, a chain must never be lighter than the pendant it accommodates. Carrying too much of a load can strain delicate links and eventually wear them beyond repair. In addition, sticking to one type of metal is a good habit. An 18ct gold pendant, for example, will undergo the least amount of wear and tear when worn on an 18ct gold chain. To prevent fine necklaces from tangling in your jewellery box, wind each around something soft like a bit of cloth or tissue paper. Alternatively kit out your dressing table with a few hooks to keep your goodies dangling and tangle free. At Mark Solomon Jewellers we love to go the extra mile towards ensuring your jewellery is of the highest quality. Visit our showroom for a gander at some of the most exquisite diamonds in town, to have you dream piece custom designed, or even just to let us check the health of your old favourites.